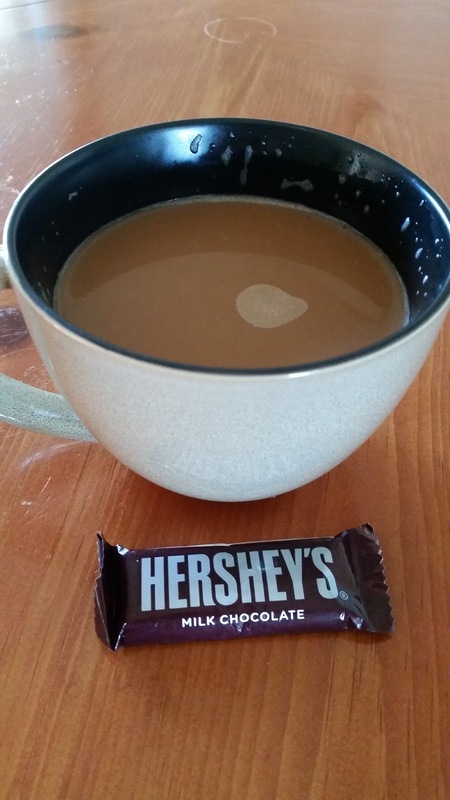 Heroes, Heroines, and History: The History of Hershey’s Chocolate! The History of Hershey’s Chocolate! When I look at the picture to the right, it just makes me smile. It’s a simple thing, really . . . milk chocolate and coffee with hazelnut creamer. Yummy! This is one of my favorite indulgences. For more than a hundred years, chocolate has brought many smiles to the faces of Americans. We celebrate holidays with chocolate, give it as a reward, and we relax after a stressful day with chocolate. Chocolate bars, drops, chips, and pieces fill the shelves and checkout lanes of our grocery stores. We sometimes stash it in our pantry and purse. Chocolate has even been a part of military rations in twentieth century wars. Did you ever wonder how it became such an ingrained part of our daily lives? Chocolate has been around for a long time, but it was Milton S. Hershey who pioneered the mass production of milk chocolate for middle-class America. 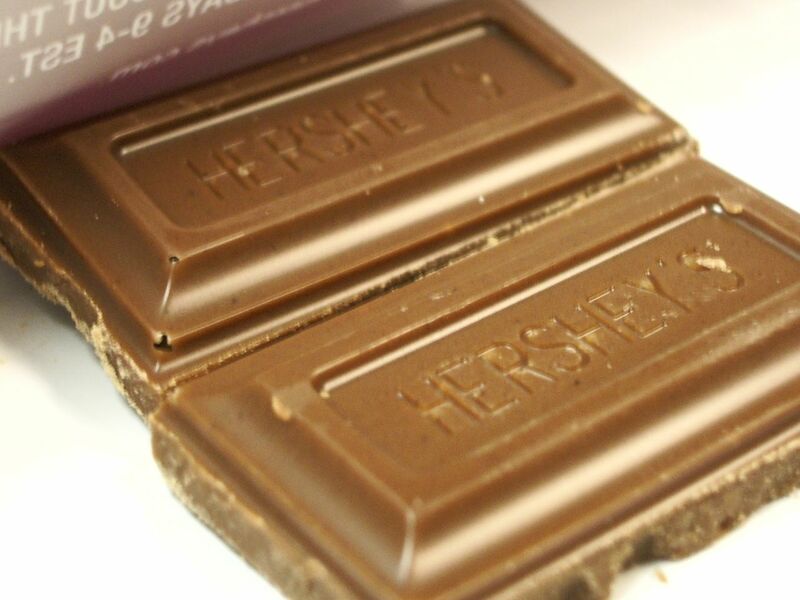 Mr. Hershey’s legacy began in 1894 when he decided to make a sweet version of chocolate to cover his caramels. 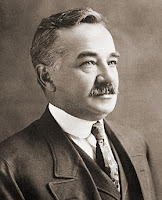 The coating was a hit, and a new demand for the creamy confection soon inspired Milton S. Hershey to expand his business. In 1900 the production of milk chocolate bars, wafers and other shapes started an enterprising new business in Lancaster, Pennsylvania and the mass-production Milton Hershey was able to lower the price of his candy and make it more affordable to all Americans. 1894 – Milk chocolate coated caramels. 1900 – The mass production of milk chocolate brings the price down and makes the candy available for most Americans. 1905 – Hershey’s new factory opened, and local citizens and farmers find steady work with the company. 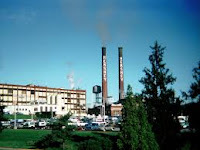 1907 – The flat bottom Hershey’s Kisses roll out of the factory. Each confection is hand wrapped in a square tin of foil. 1927 – Hershey copy writes his Candy Kiss, and the paper plume is added to the top for a show of authenticity. 1956 – H.B. Reese Candy Company was sold to Hershey Chocolate Corp.
1983 – Reese’s Pieces are made for the movie E.T. Hershey’s Corp continues to grow and is committed to the quality and value of Milton Hershey’s vision for his candy company. I love a plain ole milk chocolate bar . . . nothing fancy, no almonds or crunchiness, just creamy chocolate. Would you tell us in the comments, what your favorite candy is? Could it be a Hershey’s candy or something else? Do you have a favorite way or place to eat your candy? Do you enjoy it all to yourself or share it with a loved one? Let us know . . . and thank you for joining me on Heroes, Heroines, and History. I'm a Pennsylvania girl and grew up with Hershey's chocolate. I love the Special Dark kind. Hi Rebecca! As I've gotten older, I have gained an appreciation for dark chocolate that I didn't have in my younger years. :) Thank you for the comment! I enjoy milk and dark chocolate and I also enjoy it with almonds. I also really wanted to visit Hersheypark when I lived nearby it. Thanks for the comment, J.Grace! I'd love to visit someday too! A true American story. I'm a milk chocolate lover. I like Hersey's milk chocolate with almonds and the Mr. Goodbars best. Oh, Vickie, I'm a milk chocolate lover also. Plain and simple seems to be what I like. lol! Hershey's dark chocolate. I visited Hershey when I was quite young. I remember the air smelling delicious. How do the townspeople deal with such delicious-smelling "pollution"?! Terri, you made me giggle. I never thought of the smell from the factory. We drive by a mushroom factory on our way to the city. Not a nice smell at all... I'll have to imagine the sweet aroma of Hershey's the next time we go to Orlando. :) Thank you for taking the time to comment on HHH. I love a Special Dark "pip" in a cup of dark roast coffee. Yum! So much so, I had to get up and get a cup before I could make a comment on your delightful article. Thanks for the info - - and a mid-morning treat. Linda, I went to a ladies retreat at our church a few years ago and the hostesses had a variety of chocolates to add to our coffee. I must have been living under a rock before this, because I had never heard of chocolate in coffee. It's SO yummy! Love Hershey Pa. and that big taste of milk chocolate in that little Hershey Kiss. Yum! I grew up in Pa. but wasn't close enough to make it to the park as a kid. Loved the visit as an adult. Jillian, I'm glad to were able to get to the park as an adult. I hope to do the same, some day! Thank you for the comment! Oooo, Deanna, I do like a good Snickers bar every once in a while. :) I like to eat my Snickers in layers--nugget then caramel and nuts. Umm. Thanks so much for the comment! Lindt truffles, a cup of hot tea and a good book! The perfect way to relax! Hershey's dark chocolate is my favorite. I like to eat chocolate with a glass of red wine while reading a good book.